Translating Real World Experience into Tangible Time and Cost Savings for You! Everyone knows they need a new AV system, what is harder is to understand the balance of features, performance and price. We can help customers refine scope and functionality of AV systems and make sure that a client gets the most efficient use of every AV dollar. Our design team is ready to jump in and provide you with a design based on your vision and budget. We thrive on design challenges that tax our competition. Our focus is twofold: Ease of operation and total cost of ownership. This means that your team will appreciate the quality, user friendly design and you will enjoy long term, future proof, cost effective systems that prove themselves over time. ATK can help fine tune your system and bring your systems on line. We do the work taking a partner approach that relies on customer team participation and yields an outcome that ensures your operations staff is invested in the outcome. We can also help to optimize your existing system providing a better customer experience as well as system life-extension. Thirty years of experience has taught the ATK invaluable lessons that you can benefit from. We can review the work of your design team or consultant and provide a critique that can make the system experience better for everyone. ATK has been involved in development of some of the biggest selling products in the Pro AV market. If you are a manufacturer with a new product and need a “racing team” that can put your product through the paces then we are the perfect partner. Call us to find out how we can help you take your product to the next level. Technology in audio, video and control systems is complete and dynamic. You need to understand the direction that technology is going but that must be balance against cost, reliability and market acceptance. It is potentially expensive and painful to find the boundary between cutting edge and bleeding edge. How does today’s smart buyer get the right information to make an informed decision? Engaging a consultant can be the right approach by find the right consultant with the right experience is key. At ATK we have the right team with the right experience to help. Why? Because we are on the cutting edge of technology. ATK is designing and deploying dozens of events every month, at the same time our integration group is designing and installing AV projects around the world every week. This high volume of work means that we accrue a massive amount of experience with products and techniques that give ATK extraordinary insights that can be available to you! From simple to complex we have the engineering horse power to handle your design challenge. We can implement your conceptual design or we can design from the ground up. We have access to most brands and products from global suppliers around the world so we can develop a cost effective solution for anyone anywhere in the world! Often facility owners need a second opinion on a project to validate design and budgetary submissions. ATK can review project documents and submissions, provide bid and budgetary analysis. 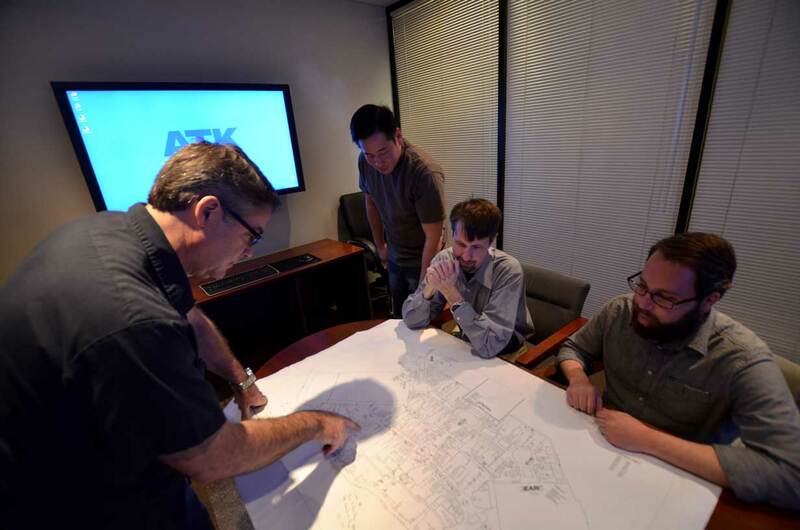 ATK has the good fortune to work in venues around the US and beyond and frequently we find systems that are not operating at maximum potential. It is easy to imagine that the solution is to replace the entire system, and sometime that is the right choice. But often the useful life on the system can be extended. We are available to manufacturers to support their design efforts. We can provide product field testing, performance measurements and performance analysis.